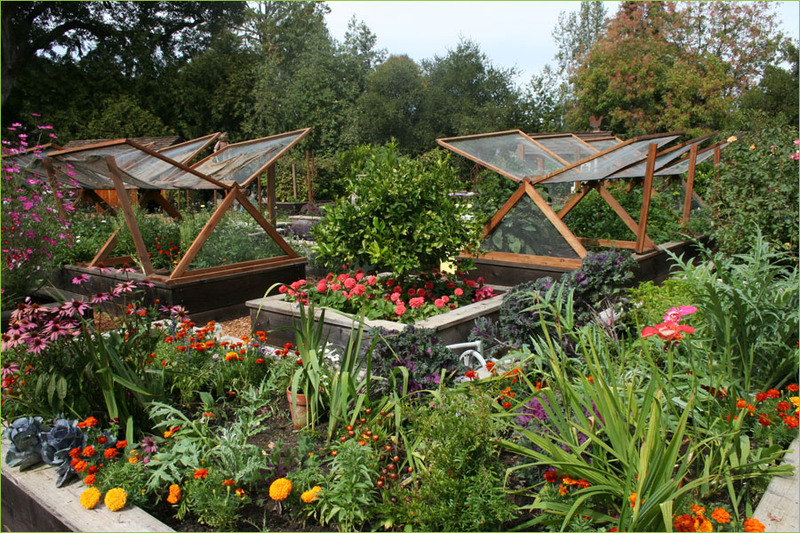 This unique vegetable garden design incorporates a set of screens that are almost as attractive as the plans that surround. A handsome stone planter serves as the garden’s centerpiece. A small path leads the way through the garden.